Tips to extend the life of your airbrush tan. Nothing lasts forever. Unfortunately that’s true about spray tans. But there are some tricks for keeping that tan as long as you can! Some of the most important things to help with you tan are done at home before you step foot in the tanning salon. That begins with exfoliating! 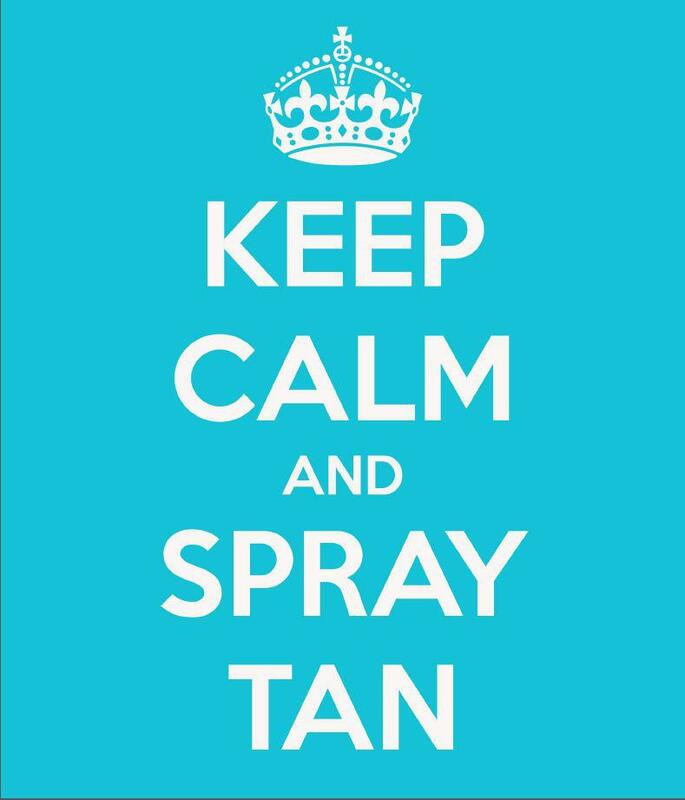 Spray tans only work on the top, outermost layer of your skin. This makes them much safer than tanning beds or laying out in the sun, but it also means that the tan won’t last quite as long. We are always losing skin. The top layer of skin dies and falls off or gets rubbed away by clothes, showers, etc. To make sure you’re not applying your tanning solution to a layer of dead skin that is just about the fall off, you should exfoliate the day before your tanning session so that the fresh skin underneath is the skin that gets tanned. There are tons of exfoliating scrubs, sponges, and gloves on the market that can help you with this task. You can even make your own natural sugar scrub if you’re handy like that! There are tons of great recipes out there. Whatever you choose to use, make sure you do it the day before your appointment. Also be sure you shave (or wax) the day before your appointment. When you remove hair, you often remove a bit of skin as well. If you wait until after your airbrush tan, you’ll be removing a layer of the newly tanned skin with your hair, and that will reduce the time you get to spend with that glow. Plus, if you have hair on your body, the tanning solution will get on the hair and it can block the solution from getting to your skin and working it’s magic. On the day of your appointment, don’t put on any creams, sprays, perfumes, or lotions. A layer of lotion on your skin can block the tanning solution from absorbing into your skin. Choose your outfit carefully before you leave the house, too. Skinny jeans are great, but don’t wear them to your airbrush tanning appointment. The tanning solution dries pretty quickly, but it’s still a good idea to avoid tight-fitting clothes that will rub against your skin and potentially rub your solution off before it has a chance to fully penetrate and give you the best possible tan. Once your tan has settled in (after that initial 6-8 hours) then be sure you keep your skin moist to lock that skin in. You know how your skin gets flakey when it’s dry? Those flakes are dead skin shedding off. Your hydrated skin will stay healthier longer. Once your skin is nice and tan, we want to keep it! Keeping your skin moisturized will ensure that you keep that tan as long as possible. We recommend moisturizing at least twice a day. If you can find a moisturizer that has SPF sun protection built-in, even better! It will help protect your skin from those damaging UV Rays we mentioned earlier! EXFOLIATE! Tanning beds and the sun itself produce UV Rays which penetrate deep into your skins to create a tan. This can cause damage deep within your skin ranging from sunburns to skin cancer. Spray tans, however, only work on the top, outermost layer of your skin. This makes them much safer, but it also means that the tan won’t last as long. We are always losing skin. The top layer of skin dies and falls off or gets rubbed away by clothes, showers, etc. To make sure you’re not applying your tanning solution to a layer of dead skin that is just about the fall off, you should exfoliate the day before your tanning session so that the fresh skin underneath is the skin that gets tanned. There are tons of exfoliating scrubs, sponges, and gloves on the market that can help you with this task. You can even make your own natural sugar scrub if you’re so inclined! There are tons of great recipes out there. Whatever you choose to use, make sure you do it the day before your appointment! SHAVE FIRST. This goes along with the exfoliating… Make sure you shave (or wax) the day before your appointment. When you remove hair, you often remove a bit of skin as well. If you wait until after your airbrush tan, you’ll be removing a layer of the newly tanned skin with your hair, and that will reduce the time you get to spend with that glow. Plus, if you have hair on your body, the tanning solution will get on the hair and it can block the solution from getting to your skin and working it’s magic. SKIP THE LOTION BEFORE YOUR APPOINTMENT. On the day of your appointment, don’t put on any creams, sprays, perfumes, or lotions. A layer of lotion on your skin can block the tanning solution from absorbing into your skin. WEAR LOOSE CLOTHING. Skinny jeans are great, but don’t wear them to your airbrush tanning appointment. The tanning solution dries pretty quickly, but it’s still a good idea to avoid tight-fitting clothes that will rub against your skin and potentially rub your solution off before it has a chance to fully penetrate and give you the best possible tan. STAY DRY! It’s not just tight clothes that can potentially disrupt your tan. Water can also wash off the solution before it’s finished fully penetrating and bonding to your skin. It takes about 6-8 hours for the solution to completely settle in and do it’s job. Until then, avoid showers, baths, saunas, and heavy work-outs – sweating opens pores and washes away the solution just as much as a shower can. NOW IT’S TIME TO MOISTURIZE. Once your tan has settled in (after that initial 6-8 hours) then be sure you keep it moist to lock that skin in. You know how your skin gets flakey when it’s dry? Those flakes are dead skin shedding off. Your hydrated skin will stay healthier longer. Once your skin is nice and tan, we want to keep it! Keeping your skin moisturized will ensure that you keep that tan as long as possible. We recommend moisturizing at least twice a day. If you can find a moisturizer that has SPF sun protection built-in, even better! It will help protect your skin from those damaging UV Rays we mentioned earlier! AVOID CHLORINE. After an airbrush tan, it’s best to limit your time in chlorinated pools. Chlorine dries your skin out and sometimes can even have a bleaching effect. So it’s best to avoid chlorine altogether if possible, but if not – be sure to shower it off as soon as you can when you get out of the pool and keep that moisturizer flowing! Following these tips can ensure that your tan lasts as long as possible! Physical appearances aren’t everything. You shouldn’t define yourself by how you look. But let’s face it: we feel good when we look our best! Admitting it doesn’t make you vain or shallow. Having pride in your appearance is nothing to be ashamed of. 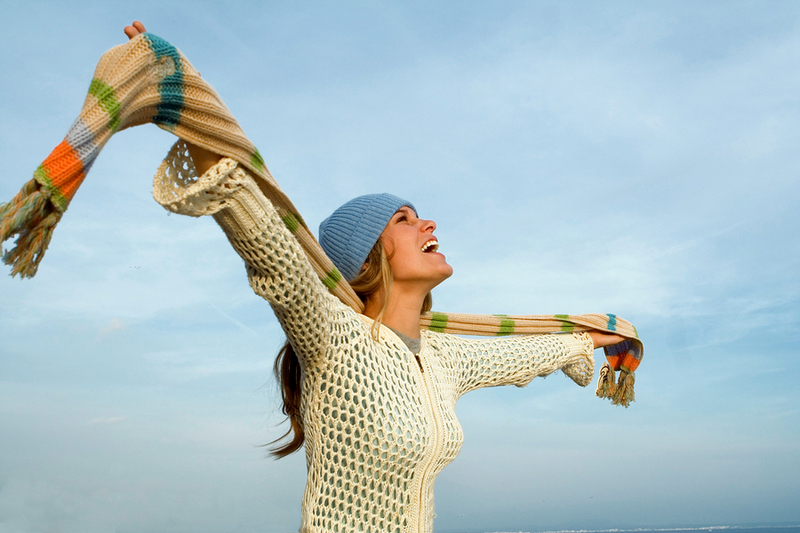 esteem and leave you feeling like you’re on top of the world and can take on anything. Unfortunately, looking like a million bucks isn’t always a simple process. It can take time and money to get yourself looking your very best – and that’s why there are thousands of tips and tricks and miracle products out there to help. You probably don’t have an extra 90 minutes to give yourself a full make-over at home each time you want to leave the house, so you do your best. Maybe you put on some mascara and powder your nose and you’re out the door. But what if there was one thing you COULD do that was quick and easy and would make you look healthier, younger, even skinner – and it would last a week?! You wouldn’t have to spend any extra time in your morning routine, you’d just wake up glowing! It’s an airbrush tan. In less than 20 minutes you can have all the beautifying benefits of an airbrush tan. You’ll look healthier, it can add age spots and varicose veins, even give you some contouring to look skinnier! You won’t have to apply any extra make up or take up any extra time. And it’s all natural. Shine uses 100% vegan, cruelty-free formulas that have been extensively tested and approved by the FDA. 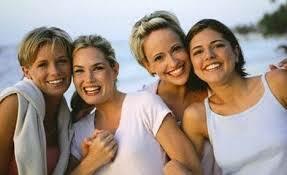 There’s no risk of skin cancer with airbrush tanning the way there is with tanning beds or baking in the sun. It’s a great thing to do for yourself, but it’s also a great gift to give to someone else. You probably know someone who works long, hard hours and would love something that could make them wake up looking like a whole new person without any extra effort! Maybe it’s a mom who doesn’t have the time to pamper herself the way she used to or maybe it’s a friend who could use a self-esteem pick-me-up for any number of reasons. Giving the Gift of Glow this holiday season might be just the thing! You can add it to a day out after some lunch or coffee or you can even have us come to you for a private session.